The manufacturing of a product takes place in several partial steps and these mostly in different locations to save tax or to use the best providers. Therefore, in the era of Factories of the Future (FoF) and Internet of Things (IoT), modern Intelligent Production Environments (IPE) are going to be inevitably based on a cloud-based repository and distributed architecture to make data and information accessible everywhere as well as development processes and knowledge available for worldwide cooperation. Semantic approaches for knowledge representation and management as well as knowledge sharing, access, and re-use can support Collaborative Adaptive Production Process Planning (CAPP) in a flexible, efficient, and effective way. 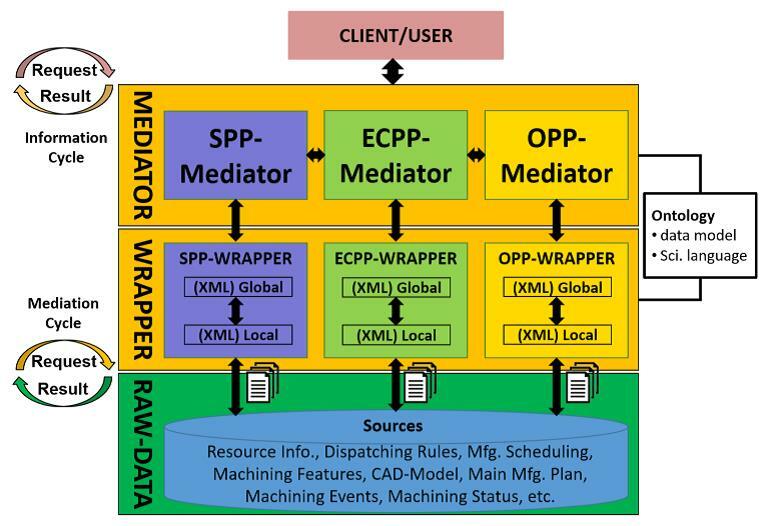 Thus, semantic representations of such CAPP knowledge integrated into a machine readable process formalization is a key enabling factor for sharing such knowledge in cloud-based knowledge repositories supporting CAPP scenarios as required for e.g., Small and Medium Enterprises (SMEs). When such contributors work together on a product component production planning, they exchange component production and manufacturing change information between different plan­ning subsystems which require, e.g., a standardized product-feature- and production-machine feature representation. These data exchanges are mostly based on applying the already established Standard for the Exchange of Product model data (STEP) for the computer-interpretable representation and exchange of product manufacturing information. Furthermore, the planning process can be supported by so-called Function Block (FB) based knowledge representation models, serving as a high-level planning-process knowledge-resource template. Web-based and at the same time cloud-based tool suites which are based on process-oriented semantic knowledge-representation metho­dologies, such as Process-oriented Knowledge-based In­no­vation Management (German: Wissens-basiertes Prozess-orientiertes Innovations Management, WPIM) can satisfy the needs of representing such planning processes and their knowledge resources. 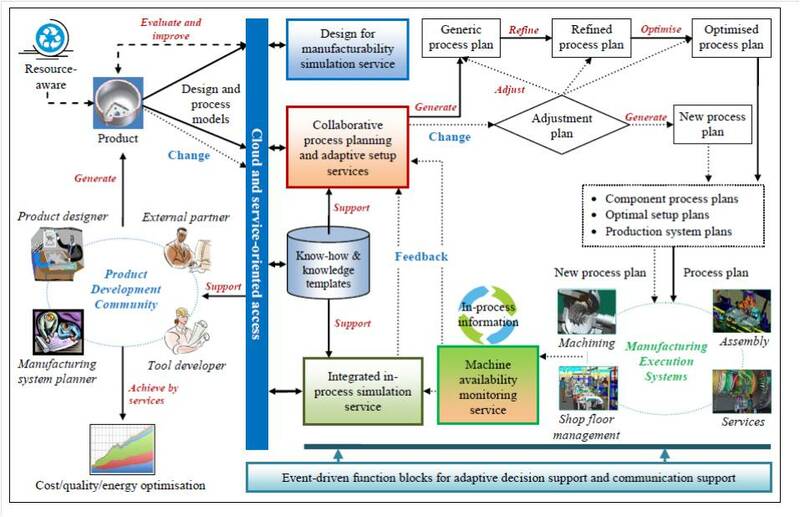 In this way, WPIM can be applied to support the integration and management of distributed CAPP knowledge, as well as its access and re-use in Manufacturing Change Management (MCM) including Assembly-, Logistics and Layout Planning (ALLP) and therefore collaborative planning and optimization for mass production in a machine readable and integrated representation. On the other hand, that knowledge can be shared within a cloud-based semantic knowledge repository. To integrate all these functionalities, a new method, called Knowledge-based Production Planning (KPP) is introduces and outlines the advantages of integrating CAPP with Collaborative Manufacturing Change Management (CMCM). In this way, an enabling basis for achieving ALLP interoperability in Distributed Collaborative Manufacturing and Logistics will be demonstrated. InConTec offers advice and services in this fields as well.